In ancient civilizations, the floor rug was often considered the family's most prized possession. Area rugs served as flooring, sitting, and sleeping surfaces and also gave home interiors a little zing. While area rugs today aren't needed to serve quite so many purposes at once, they are still widely appreciated. In fact, some of the finest handmade rugs are seen as works of art. Today, a floor rug can be a quick interior design solution that reinvents a room, breathes new life into dull decor, and provides warmth and depth. Functionally, an area rug can be used to muffle sound and protect floors. Maggie Tillman. Pocket Lint. Wednesday, 27 Mar 2019 23:49:44 +0000. Area rugs are available in a wide range of sizes, shapes and styles. They come in just about every color and all types of patterns, from traditional to contemporary. 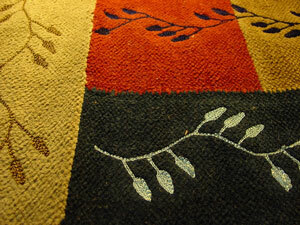 Some rug patterns show the artistic traditions of certain regions, such as New England, Brazil, or Peru. Area rugs may be made from natural fibers such as wool, cotton, and sisal, or from synthetic fibers such as nylon, polyester, and olefin. Area rugs are usually loose-laid, in contrast to wall-to-wall carpeting which is tacked to the floor. Used in this manner, an area rug can provide a dramatic accent to hardwood floors or other types of flooring. Oriental rug designs are categorized as either Persian or Turkic. Persian designs tend to be floral, curvilinear, and finely detailed, whereas Turkish rug designs are usually angular and geometric. Historically, oriental rugs have been traded in bazaars and this tradition of bargains and discounts has carried over to the present-day area rug market. For more information about area rugs and the rug industry, please visit the Carpet and Rug Institute website. Couristan Carpets has been a trusted name in floor coverings since 1926. 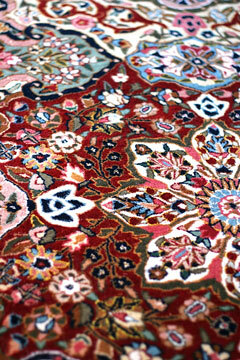 Karastan distributes machine-made oriental design rugs. Shaw Rugs produces custom tufted, fabricated, printed and machine-woven rugs. Colonial Mills manufactures a selection of braided-texture rugs and accessories. New England-based Cape Cod Braided Rug specializes in handcrafted braided rugs. Capel Rugs offers rugs of distinctive design and long-lasting durability. Floor rug designer and manufacturer Delos Rugs offers woven, hand-knotted, and hand-tufted rugs. Kid Carpet features tough and durable nylon kid's rugs and children's carpets. Nourison Rug Company offers contemporary-style area rugs, broadloom, runners, accent and scatter rugs, and custom rugs. Trans-Ocean Import Company imports a full line of fashionable area rugs from Europe and Asia. Home Dynamix manufactures and distributes fine area rugs, runners, mats, and accessories. Lotfy & Sons offers handmade oriental carpets and rugs from India, China, Pakistan, and Iran. At the Milliken Carpet & Rugs interactive showroom, visitors can find country, traditional, and contemporary rugs and carpets. Radici USA offers wool and olefin Italian floor rugs and carpets. Safavieh weaves beautiful floor rugs. 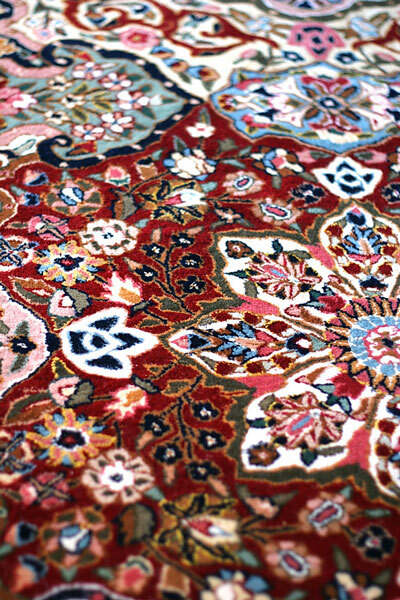 This manufacturer and importer of fine rugs was founded in 1914, in the Persian rug-weaving district. Joy Carpets features unique carpets and rugs for children. Octans Rugs is a Nepal-based manufacturer and exporter of contemporary, traditional, and custom-designed, hand-knotted area rugs. Bowron Sheepskin offers sheepskin rugs and accessories from New Zealand. Carpet.org publishes Types of Fiber, an overview of the primary natural and synthetic fibers that are used to produce rugs and carpets. Area-Rug-Tips.com publishes a series of resources about rug cleaning, care, and stain removal. This rug vendor directory lists rug and carpet suppliers throughout the USA.